This is a great dish for the crockpot. It is a vegetarian meal, but not vegan- unless you use vegan cheese. You will need a large crockpot- 4 or 5 quart. 6-8 (6″) soft shell tortillas- if you use corn, they might seem a bit small, but they work. Cook your dry beans in the water, covered, for 1 to 1-1/2 hours until tender. If using the canned, just drain and rinse. In a large skillet or pan, saute the onion, green pepper, and garlic in oil. 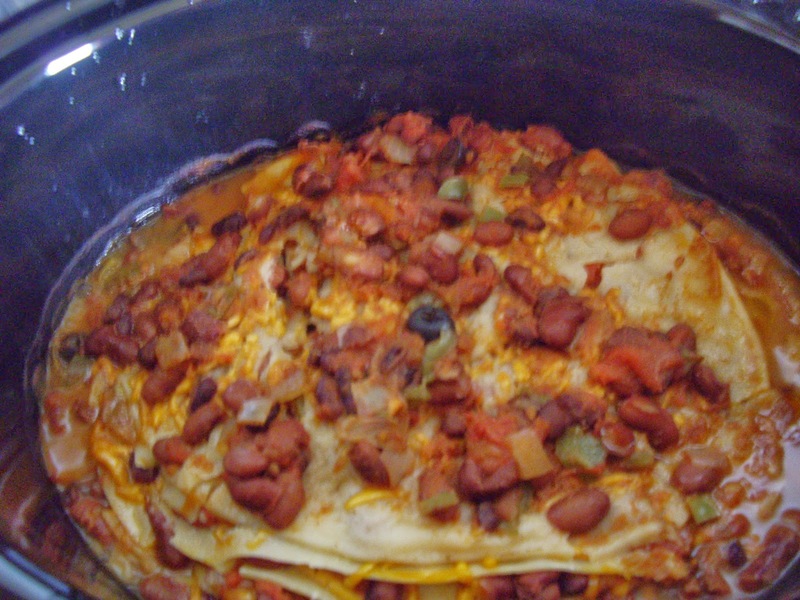 In your crocpot add 3/4 cup bean mixture, a tortilla, and 1/3 cup cheese. Repeat until everything is used, ending with the sauce. Serve with sour cream and maybe some guacamole on top. This will serve 6-8 people. Since a quart is a little bigger than 30 oz. you may end up with a little extra sauce. I love black beans! Add some chicken and rice and you have yourself quite a tasty meal. 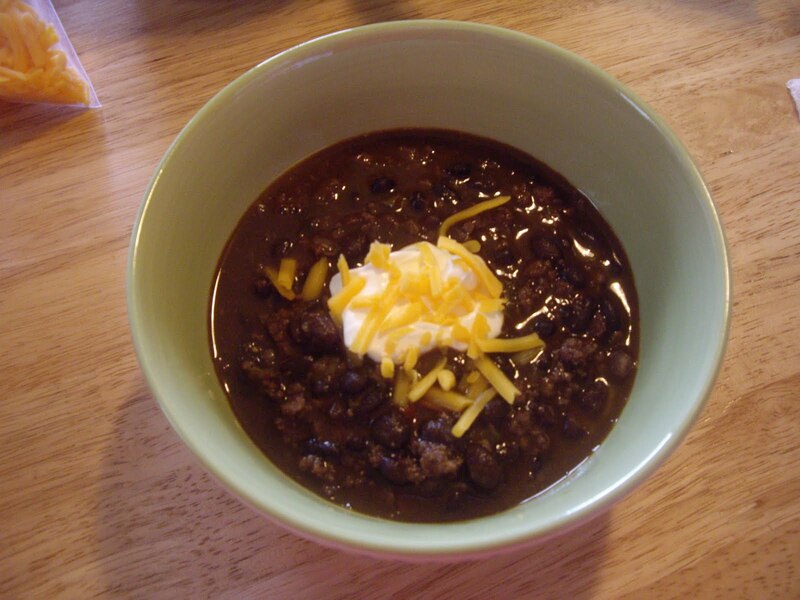 1 cup dried black beans. Rinse and drain your black beans. You can soak out if you want. If you don’t, that’s fine. Put beans in a medium cooking pot and cover with water. Salt lightly and add the cumin, paprika, chili powder, garlic powder, and cayenne powder. Bring to a boil, turn down, cover, and simmer for about an hour and a half until the beans are tender. Measure the bean cooking liquid. Keep 1 cup. If you don’t have that much, add water to get that amount. Put that and the rice back into the pan. Bring to a boil and turn down, cover and cook until liquid is absorbed, about 15 minutes. While the rice is cooking, cook your chicken. Put a small amount of oil in a skillet and add the chicken. Salt and pepper it and cook til done. Let cool and cut into cubes. 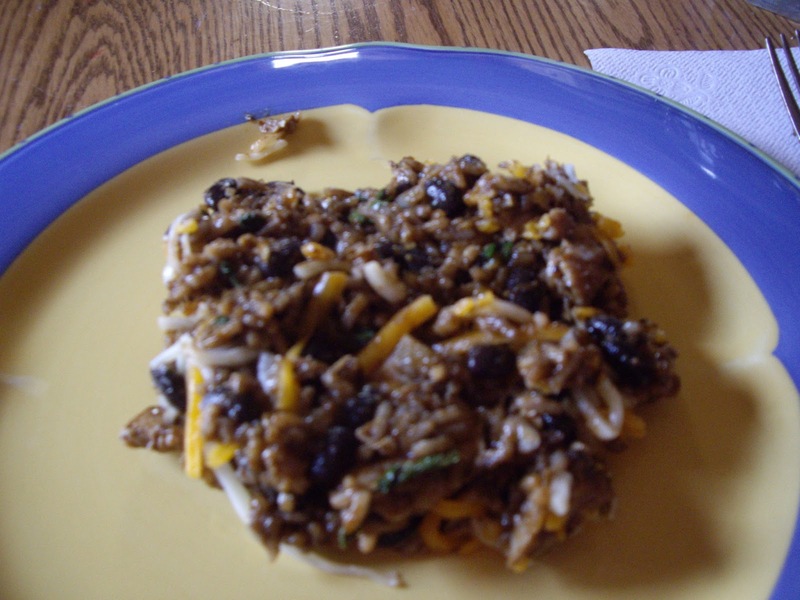 When the rice is done, add the beans, chicken and cilantro and stir in until everything is heated through. Serve with cheese sprinkled over the top. I like a mix of cheddar and Monterey jack. This will serve 3 to 4 people.